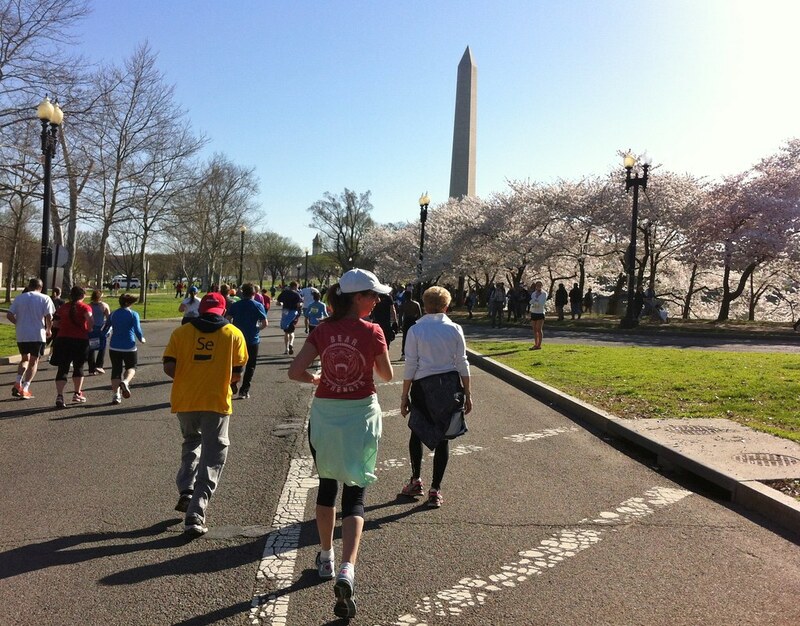 The beautiful Cherry Blossoms were in full bloom and the timing coincided perfectly with the Cherry Blossom 10 miler/5K. After four years of attempting to get into the run through their lottery system, I finally got the opportunity to run the 5K yesterday. It was sunny, about 65 degrees and zero humidity ~ ideal conditions for a run through the best parts of the city. Throughout the run, I reflected how lucky I am to live so close to this beautiful and vibrant city. 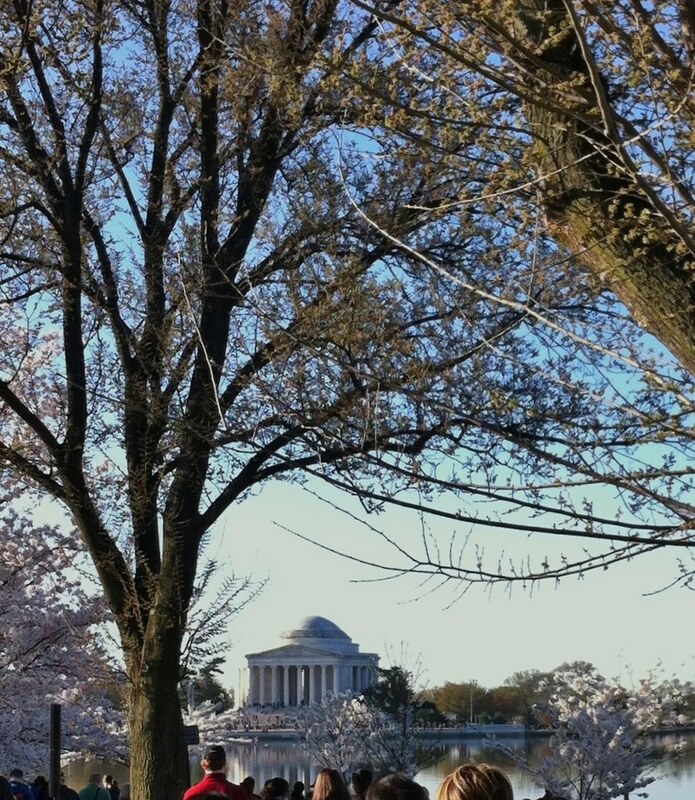 DC is so beautiful and your photos capture it well. 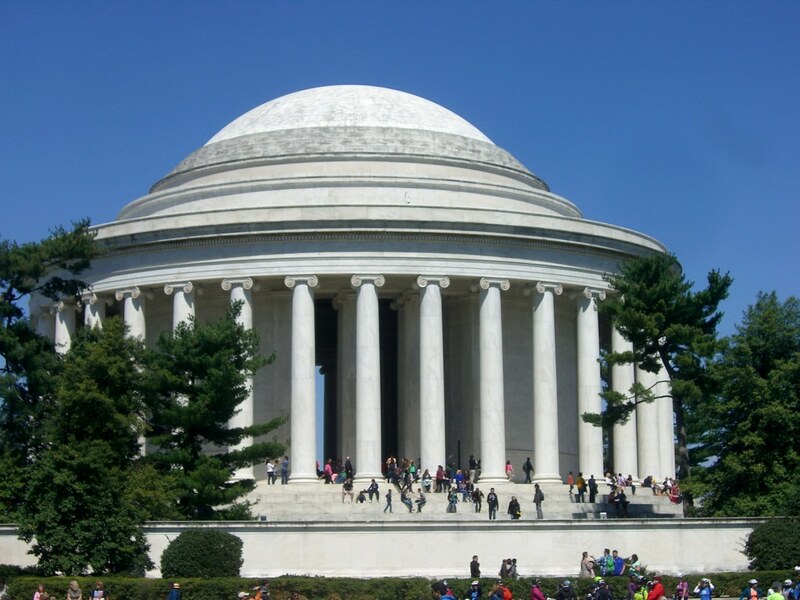 DC is a great city to photograph ~ lots of monuments, historic sites, greenery and water. I feel very fortunate to live here. Again, thanks for stopping by. Not sure how I missed your comment earlier but thank you for stopping by. DC is a beautiful and fun city. As small as it is, I still feel like I’m just scratching the surface of what there is to see and do. Yes I agree. I got to see so much in my time there, but still there were so many more things I wanted to do! Soak it all up! What glorious shots of the flowers. 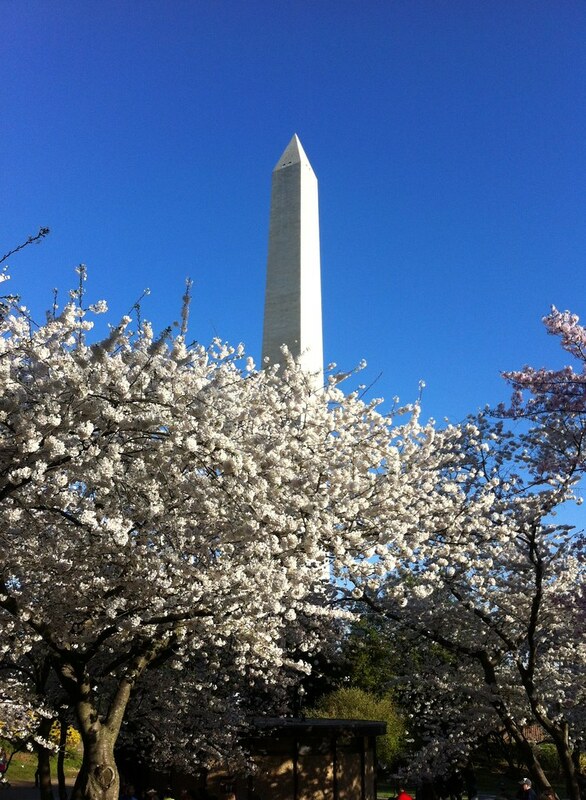 Thanks ~ the flowers around DC/Northern Virginia are so beautiful and I’m thrilled spring has finally sprung. Thanks so much for this, Patti. We tried, scheduled our getaway from Syracuse in October to coincide with the Cherry Blossom Festival and Easter (and the Neil Diamond concert at Verizon Center) but the trees were just beginning to come out because of the harsh winter. Now I can show this to my dear wife Karen to get a delicious taste of the full deal. Congratulations on getting into and completing the 5K in your scenic new hometown. Wow, congrats on winning the lottery and running the race. It must have been a great day–your pictures are gorgeous. Are you a regular runner? Patti, I had no idea there was a lottery for the 5K (but then again, I wouldn’t have any reason to know, being the slug that I’ve become 😉). 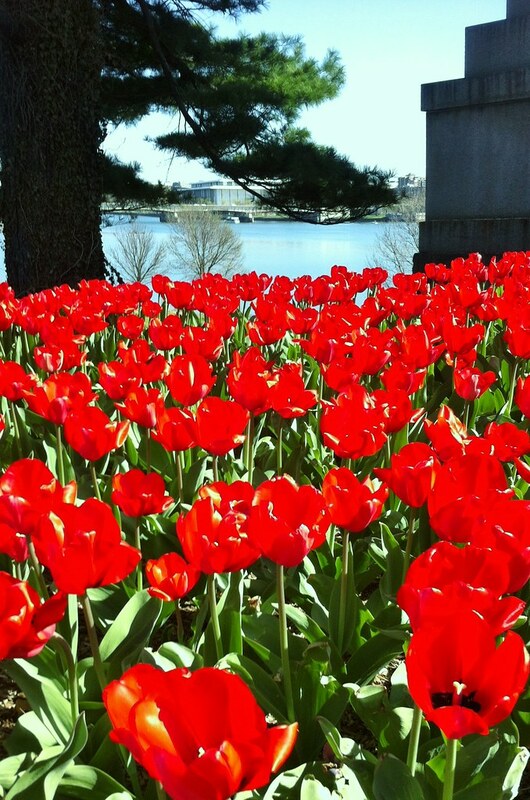 Gorgeous photos of the Tidal Basin in bloom! 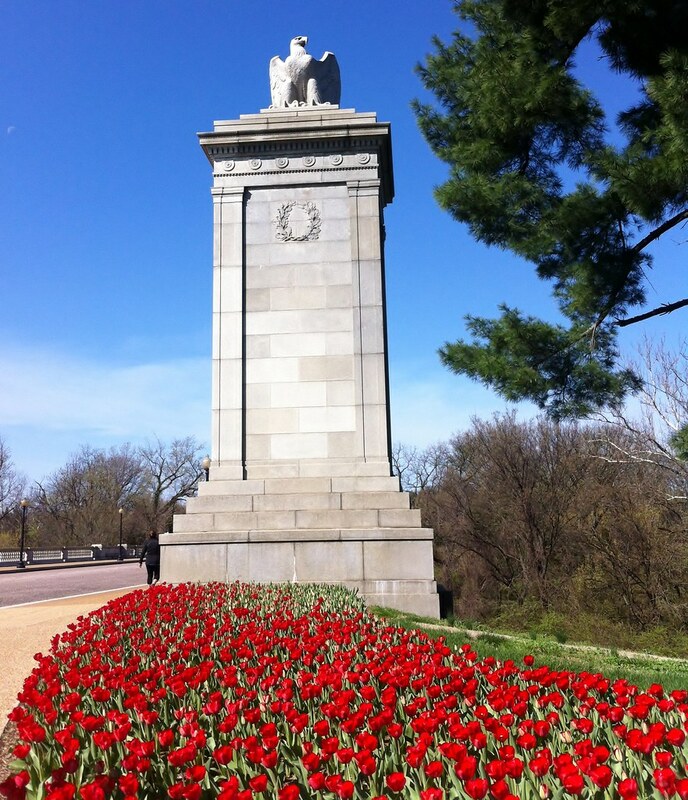 I especially love the view from the steps of the memorial. Paints the scene wonderfully! PS My apologies for putting an “i” and not a “y” at the end of your name. Yikes! My nickname is Patti so you got it right! 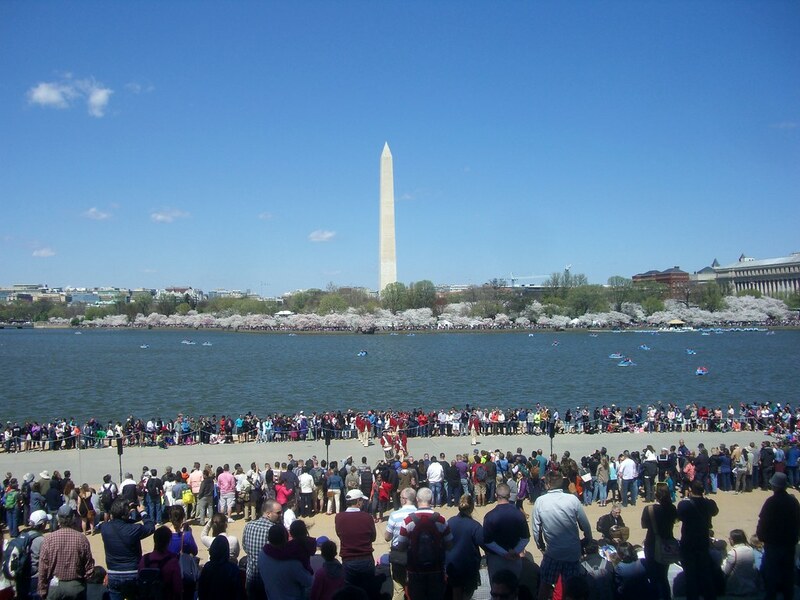 Great coverage of Sunday at the Tidal Basin. Cool shots, especially liked the tulips, I’ll have to check those out. Thanks ! The tulips are so bright and beautiful ~ I look forward to seeing them every year. 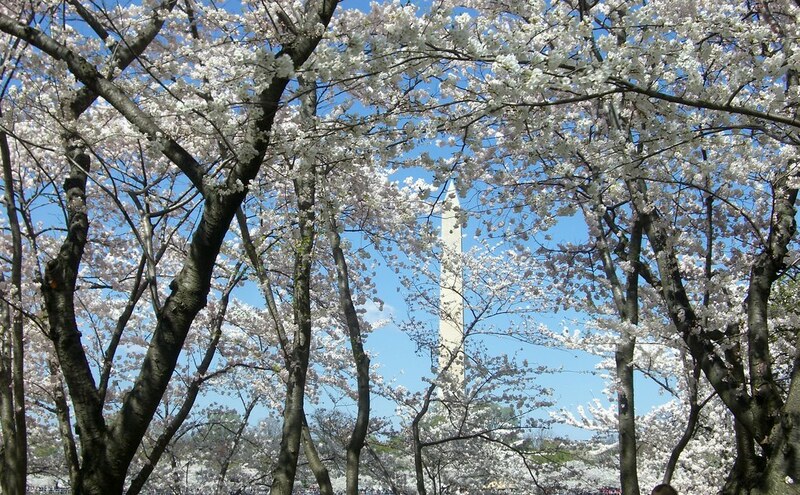 They’ve been in bloom every time we’ve volunteered for the Cherry Blossom Run and again this year. Patti, your photos are wonderful! 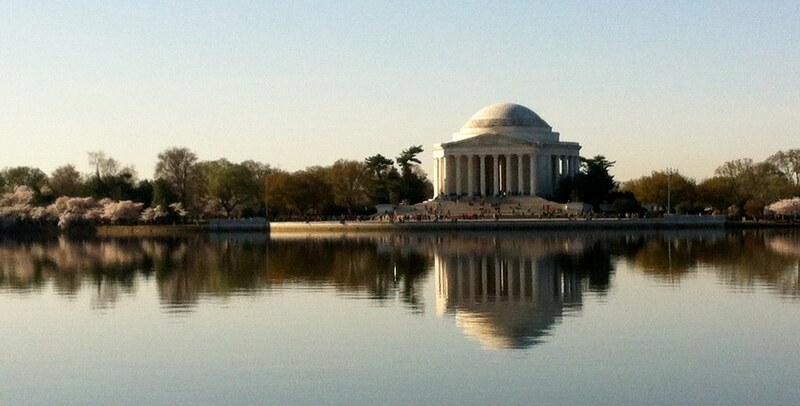 I particularly love the one of the Jefferson from across the water. Lovely post!! I’m so glad you got to run in the 5K. We left Saturday morning and saw all the crazy traffice heading in. It was a beautiful, sunny day and your photos reflect the joy of a sunny, warm spring day in your beautiful neighborhood. It was so good meeting you last weekend! So good to meet you too! You’re right, the crowds were a bit crazy this weekend. 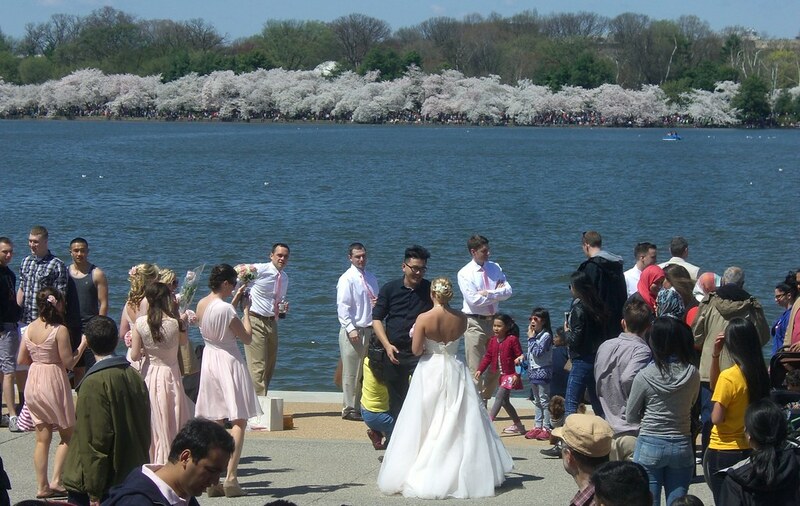 The combination of good weather and peak blossoms added to the frenzy. 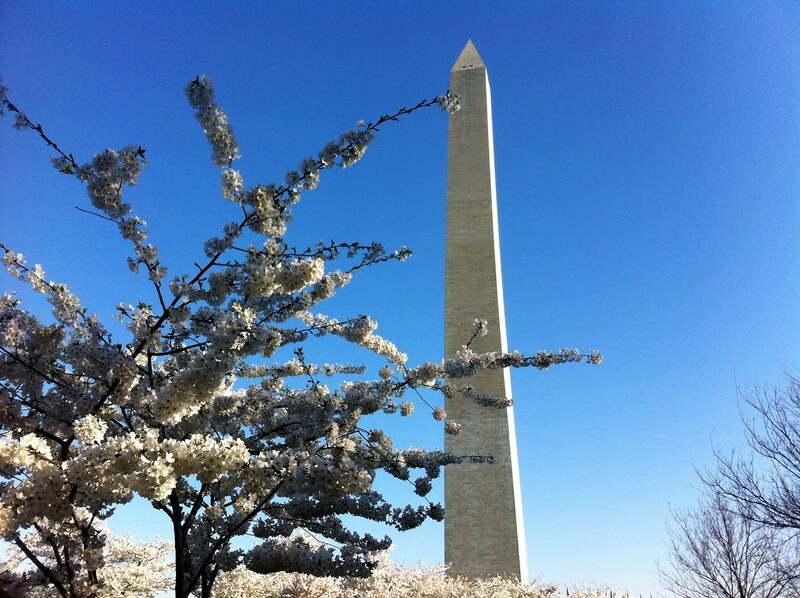 At least it was a frenzy over good weather, exercise and cherry blossoms. You’ve got to love that. A real treat, the Cherry Blossom. Few years ago, I had the opportunity and enjoyed every moment.